'Growing up in the 1960s and 70s, I was drawn to an alternative way of life. I was the son of a businessman and I wanted to discover the meaning of life beyond materialism; I felt religion may hold the answers. After school, I trained as an accountant, but hated it. My plan was to live in a bread delivery van that I’d converted and offer people handyman services in return for payment in kind. 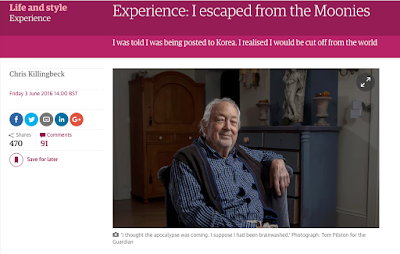 Read the full story on the Guardian Online. Your story is interesting! Thank you so much for sharing! I am sure you will be able to keep it up, guys! thanks for sharing some stories from your life! you share your experience with youth! It is always very helpful when someone share the experience with others. Thank you for a such useful website.Happy many returns of the day! I like reading such interviews and to get new useful information from people who have related experience. I believe that personal opinion and situations you've been to during your life play very important role in your development. All essay writers I know prefer doing mistakes but get experience.